GameStop has Ni no Kuni II at lowest ever price of $10. This beats out previous low of $18 which is a pre-owned unit. 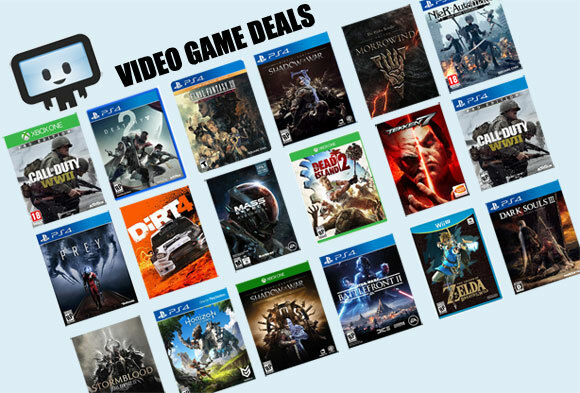 Part of GameStop's Spring Sale which will end next week Saturday. The average price for this game in the past 6 months is $19.99. The game first became 50% off on Jul 27, 2018 at Best Buy. Lowest historic price was $9.99 on Apr 8, 2019 at GameStop. Gamefly has Ni no Kuni II at lowest ever price of $18 for the like-new pre-owned units. If you've been looking for a good deal, this beats out previous low of $30 even if you factor in shipping. If you're not in a rush, we'd suggest waiting as holiday season is just around the corner. The popular JPRG Ni no Kuni II has pretty much been at the $59.99 list price since its March 23rd PS4 launch. Today Best Buy has it $20 off, $39.99 with free shipping or store pickup. The average price for this game in the past 6 months is $23.32. The game first became 50% off on Nov 11, 2018 at Best Buy. Lowest historic price was $19.99 on Apr 8, 2019 at GameStop. Now only $20, Ni no Kuni II premium edition is at historic low price. Given used copies of regular edition is at about $18, we see no reason not to fork over $2 for additional in-game content and items. If you enjoy the first game or any JRPG in general, you'll feel right at home with this. Select region can even save an extra $1 if you opt for in-store pick-up. The average price for this game in the past 6 months is $46.44. The game first became 50% off on Oct 15, 2018 at GamesPlanet. Lowest historic price was $35.99 on Feb 6, 2019 at Green Man Gaming. The average price for this game in the past 6 months is $29.40. The game first became 50% off on Aug 20, 2018 at IndieGala. Lowest historic price was $24 on Dec 14, 2018 at Razer Store. If you're a fan of JRPGs, anime or games with brilliant production, Razer Game Store has new price drop this weekend on Ni no Kuni II for $24. Gets an 81/100 on Metacritic and 9/10 rating at Steam. Really great price on Ni no Kuni II from Razer Game Store this week - in fact, it's at a new historic low price! This is part of the Bandai Namco publisher sale the digital retailer is running and you'll be able to pick up March's well-reviewed JRPG for cheaper than what Steam Store offered up during Summer Sale. March's release of Ni no Kuni II is already 40% off on Steam Store in this two day flash sale. Act fast and you'll be able to pick up the 2nd installment JRPG for new historic low price. We're right near the 3 months mark and March's release of Ni no Kuni II is now available for 30% off in GamersGate's Summer Sale (tons of other Bandai titles are on tap as well). The Prince Edition is only 25% off and if you're new to the series, we suggest going with Standard first. Steam key, over 80% positive on Steam Store. If you enjoy JRPG, this is an excellent title to check out. You probably know Razer as the company that makes PC gaming hardware. Well, it just opened the Razer Game Store to start selling PC games. It has some pretty sweet deals going on like this Ni no Kuni II for $45.89 after 15% off coupon. You also get a $15 Razer Game Store discount voucher and a $10 hardware voucher.